Category Archives for "Trail Camera"
How do I pick a Trail Camera? 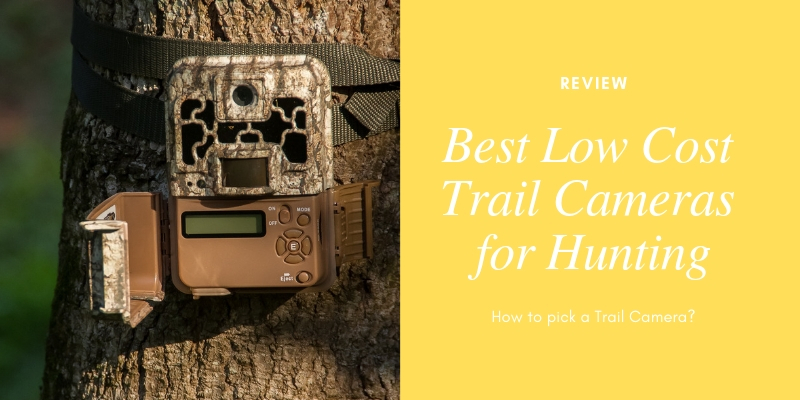 Our #1 goal is to help you pick the absolute perfect trail camera for your particular situation. Whether you are a wildlife enthusiast, a sportsman, a wildlife researcher, or just trying to catch a vandal; we are here to help. This “First Time” Trail Camera Buyer’s Guide will provide a quick overview of what to look for in these trail cameras. If at any time, you have questions and want to talk to someone in person, feel free to Contact Us. We look forward to helping you with your trail camera needs! The first thing you will need to know is there are tons of cameras out there. Many of them excel in one area but under-perform in another. Knowing the situation in which you will place your camera can play a crucial part in picking your “perfect” camera. After reading this guide, I would highly recommend going through the Trail Camera Selection Guide. It will walk you through, step by step, the different criteria you may or may not be interested in. At the end of the test, it will give you the camera (s) that matches your criteria. It essentially finds the perfect camera for your needs. The detection circuit of a trail camera is what detects the animal. Cameras detect based off of a combination of heat and motion. The better detection circuits will produce more pictures of wildlife or people, the poor detection circuits will miss a lot of activity and produce minimal pictures. Trigger time is the amount of time a camera takes to snap a picture once the object has entered the detection zone. In general, quicker trigger speed is an indicator of a higher quality camera. However, not every person needs a quick trigger speed. If you are putting the camera on a feeder or bait station, where the animal is expected to hang around for a while, a quick trigger is not necessary. Conversely, If you are putting the camera on a game trail, or using for security, you need a quick trigger speed in order to snap a picture before the animal/person leaves. We use a device called The Triggernator that scientifically and accurately tests the trigger speeds of any camera trap. If you would like to view the trigger times from the different cameras, read the Trigger Speed Showdown. When an animal or person steps into the detection zone, a picture will be taken shortly thereafter (how long depends on how fast the trigger speed!). The two factors that determine the detection zone are Detection Width and Detection Range. Game Cameras have anywhere from a 5-degree beam up to a full 90-degree detection zone. At 30′ this varies anywhere from narrow 3′ horizontal detection width all the way up to a monstrous 60′ wide detection width. The furthest distance at which a scouting camera is able to detect motion. Distances range from 30′ on the low end to out past 100′. 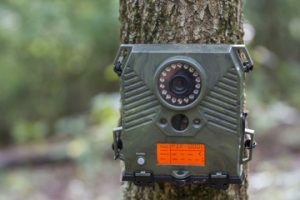 If you want to put a camera on a food plot and cover a huge amount of area, you need a game camera with a wide detection width and long detection range. For comprehensive data on Detection Zones, please review our Detection Zone Test. Recovery time is the amount of time a camera takes to capture a photo, store that photo to memory and then re-arm itself for the next photo opportunity. Some cameras will only take a picture every 30 or 60 seconds. These cameras will work on a feeder/bait station, but not on a fast moving game trail. If you want to see everything that is walking down a game trail, you need a camera that recovers quickly. If you want the best recovery time, Reconyx trail cameras recover in just 1/2 second. Every year, we do our trademark test to determine which cameras have the best Detection Circuits. The test combines trigger speeds, detection zones and recovery time. If you would like to see which camera companies scored the highest, you need to review the Trail Camera Shootout. The first thing to know is that megapixel ratings are the LAST thing you should look for in a camera. Many companies trick you by listing a high Mpxl, but in reality they use an extremely low quality lens which makes the quality of the picture average or even below average. The only way to define quality of picture is to look at sample pictures (and then decide yourself). Before you purchase a camera, you need to be aware of what the pictures from that camera trap look like. We obviously test and review nearly every camera out there and one of the biggest tests revolves around putting a camera in the woods and seeing exactly what it does. Our collection of trail camera pictures will give you an excellent representation of the quality of picture to expect from each model. You can also view our customer photos for both educational and entertainment value! Does the camera use a standard incandescent flash or infrared flash? Incandescent will give you color night photos, but is also subject to spooking some game. Infrared is color daytime and black and white at night but does not spook the game (normally). Flash range is the distance at which a camera’s flash is able to capture a discernible image at night. Some models tested were incapable of reaching past 15′ while others worked out to 80’+. To see sample night pictures, please visit the Flash Range Test. Battery life is often overlooked until you have been using the camera for some time. If you make the wrong decision, your camera could cost you a small fortune in the future. If you make the right decision, (buying a camera with good battery life and using rechargeable batteries) batteries will be the least of your concern. We are huge advocates of NiMH Rechargeable batteries. Why? They save you bushels of money in the long run (check out this chart for proof). They increase your battery life in the cold winter months. We include battery life information in all of our trail camera reviews. You may also want to read our article about Nimh, Lithium and Alkaline batteries. When you go to retrieve your photos, will your camera still be there? Much like batteries, this is something that is often overlooked until it is too late. If you plan on putting your camera in an area that receives traffic from anybody but you, do yourself a favor and lock your camera up. To view security options for all the different camera traps, please visit Security Devices for Trail Cameras. A great resource, if you haven’t already been there, is our Trail Camera Shootout. The Shootout gives you the raw data for determining which cameras have good detection circuits. 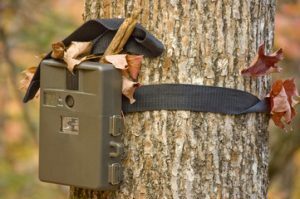 If you want to read more on the different tests we perform, or to compare and see how the cameras stack up to each other, visit our Trail Camera Tests. This will help explain many of our testing procedures and will have tons of information to familiarize yourself with how the cameras work and which ones outperform their competitors. Also, if you would like to see which camera is right for you, complete our Trail Camera Selection Guide. Enter your preferences and find out which camera matches your needs!